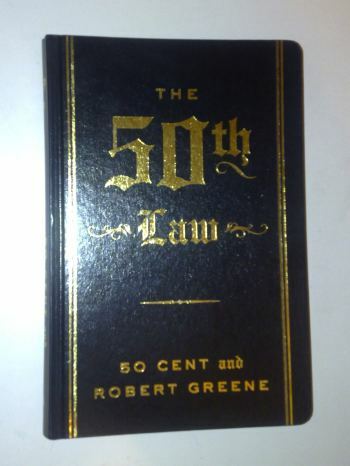 I am fan of both Robert Greene’s work and 50 cent’s work so I guess I’m the target market for this book (easy sale!). If you haven’t seen any promotion The 50th Law is “Fear nothing”. That doesn’t mean you shouldn’t buy the book. I haven’t finished reading it yet but from first impressions the book is flossing! The page rims are all gold and it looks like quality. But you know what they say don’t judge a book by it’s cover. Ha, I will give you my full thoughts on the book’s content once I finished it. Stay tuned! @Hussle’s Way, Will do, stay posted. If you like 48 laws of Power you will like this book. I bugged my brother to get me a copy :D.
fantastic read! And i love the gilded pages too.